The wooden structure appears to be a floating building and is constructed with a number of plates called ema. 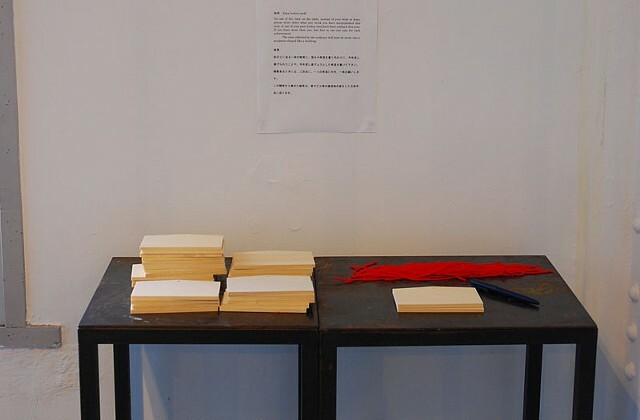 In Japan, an ema is a small wooden plate on which people write down their wishes, usually in the beginning of year. 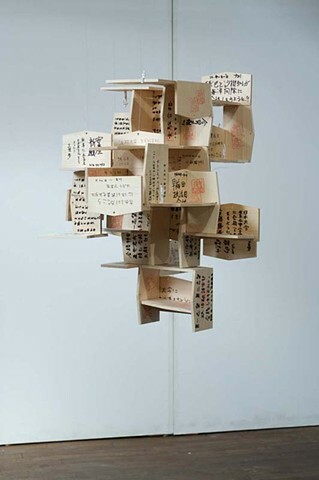 They then hang them on trees or on designated wooden frames specially built in Shinto Shrines. 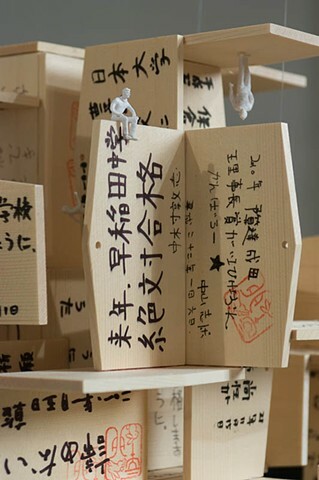 Each ema in this piece contains the person’s wish: getting a good job, passing a university exam, or being in good health, etc. Small-scale plastic figures are walking or sitting on the surfaces of emas horizontally and vertically as if there was no gravity.